Happy Valentine’s Day, dear readers! Do you remember last year’s Valentine’s Day post? 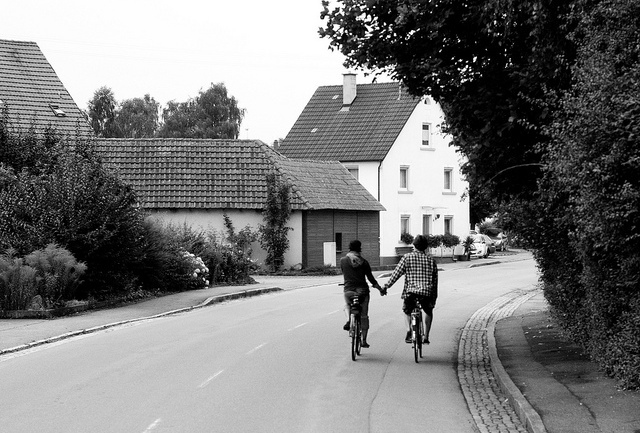 Keeping with tradition, we bring you more stories about love and sustainable transportation. If reducing greenhouse gas emissions and congestion haven’t convinced you to switch to sustainable transportation, yet, we’re sure these love stories will. Enjoy! Here is a sweet love story from New York City’s Metropolitan Transportation Authority. Laura and Tom met while commuting on the Long Island Rail Road (LIRR). After months of missed connections, the two found each other on the platform and spent the train ride talking. The couple is now married and has a 4-year-old boy. In honor of mass transit’s unique ability to bring people together, the New York Transit Museum is hosting the second annual “Love-in-Transit” party starting at 6:00 p.m. tonight. The event is inspired by the popular Craigslist forum “Missed Connections,” where users post messages on brief encounters with the hope of reconnecting. The event will feature work from artists based on these brief messages. 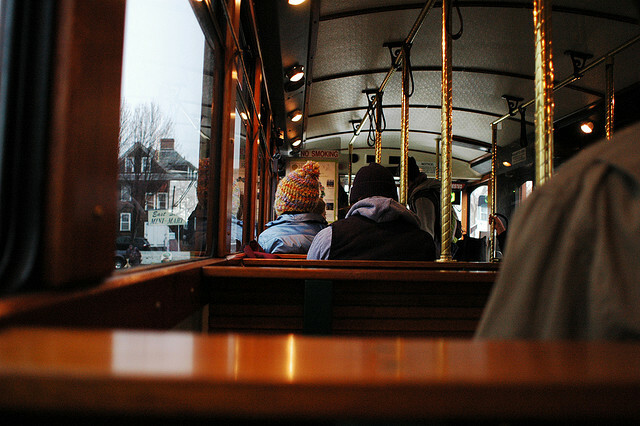 Is there anything more romantic than riding the trolley cuddled with your honey? Photo by marcos ojeda. This past Sunday, Southeastern Pennsylvania Transportation Authority (SEPTA) hosted the Love Train in a celebration of couples who met while riding the public transit system. Among the couples were George Dytko and Cheryl Tocci, who met one another while they were waiting for the trolley. Eric Staller, the artist behind the Conference Bike, created a unique bicycle for lovers. 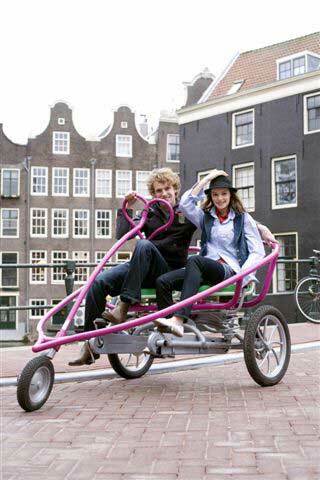 Love Bike isn’t your traditional tandem bicycle, but a bicycle with a heart-shaped frame and steering wheel. “It is nearly impossible to stop smiling while riding a Love Bike, watching the reactions of people, the smiles, double-takes, comments shouted, iPhone photos snapped,” Staller explains. Metro in Houston, Texas is offering free rides to loyal customers in hopes of spreading a little holiday love and appreciation for Valentine’s Day. The agency is also running the “Operation Thank You” campaign, where Metro staff greet customers and hand out greeting cards and a few free fare cards. Acknowledging the important role transit operators play in delivering transport service, Maryland Transit Administration wants to recognize its staff, too. The agency is asking riders to submit names for operators who are the most friendly and helpful, and who always deliver a service with a smile. If you live in Maryland and you know someone who needs to be recognized for the exceptional service they provide, text the word “bestride” to 30802, or email your operator’s badge number to rateyourride@mta.maryland.gov. The operators who get the most votes will be celebrated on the Rate Your Ride and MTA websites, with a special profile story on the overall winner. The winning vehicle operator will also receive a special surprise. Photo by My Lil' Rotten. The Virginia Museum of Transportation held its second Train Lovers’ Day last Saturday with short rides. 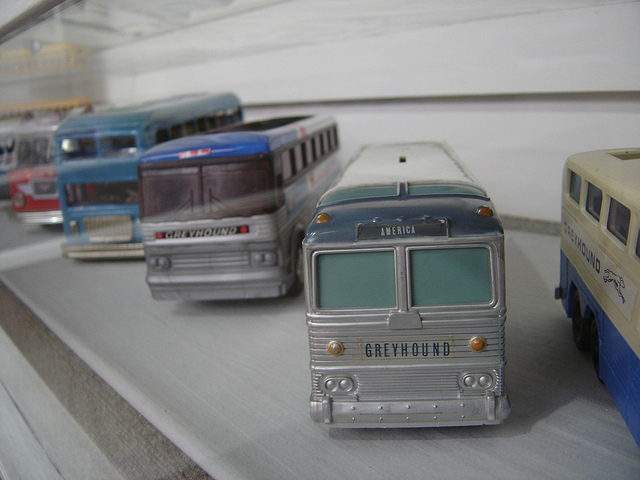 The museum’s collection of vintage engines and railroad paraphernalia was on full display, allowing visitors to truly embrace the romance of sustainable transportation. 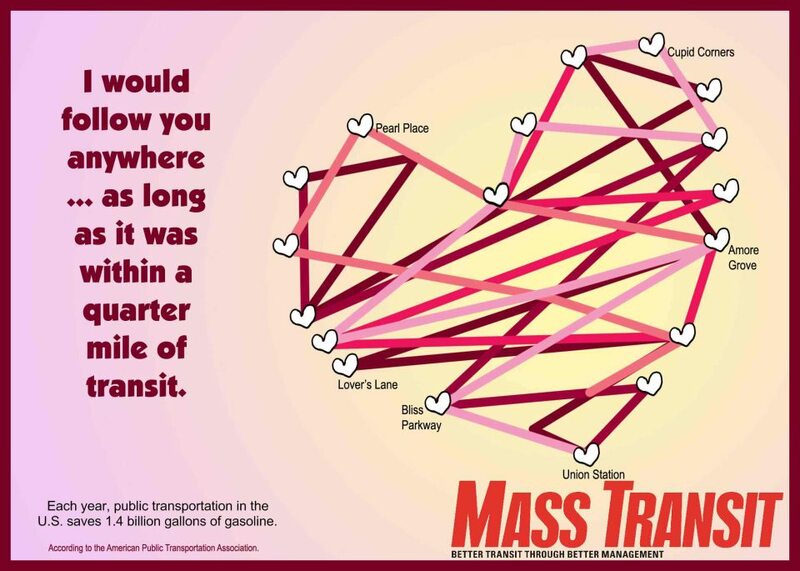 And finally, American Public Transportation Association and Mass Transit Magazine released adorable public transit-themed Valentine’s Day cards. 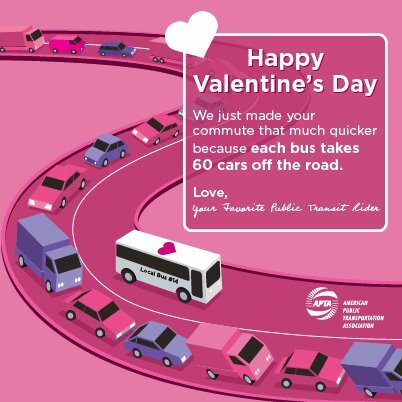 If you’re going to send your sweetheart any message of love this holiday, make sure to also send a message of sustainable transportation.